Home Uncategories Black Saturday movies to watch: 'Furious 7', 'You're My Boss' or 'Spongebob'? Black Saturday movies to watch: 'Furious 7', 'You're My Boss' or 'Spongebob'? 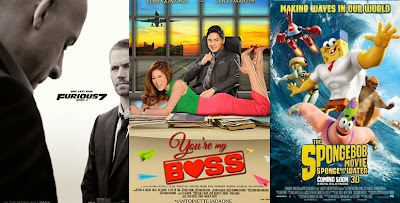 This Black Saturday, April 4, 2015, 3 new movies are opening in Philippine theaters: 'Fast and Furious 7', Toni Gonzaga-Coco Martin movie 'You're My Boss' and 'The Spongebob Movie: Sponge Out of Water'. Which movie are you watching? Philippines. The Hollywood's 'Clash of the Titans' (P219.3M) and 'G.I. 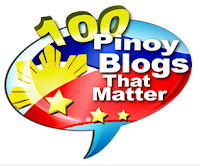 Joe: Retaliation' (P187.5), and even Filipino films, the Sarah Geronimo-John Lloyd Cruz movie 'It Takes A Man And A Woman' (P375M) and the Anne Curtis-Sam Milby film 'Babe, I Love You' (P96.2M) all opened on a Black Saturday in previous years and enjoyed box-office success. This 2015, 3 new movies are opening on Black Saturday, April 4, and all are potential hits, which could make the biggest Black Saturday box office ever in the Philippines. After a 2-day Holy Week break (Maundy Thursday and Good Friday), cinemas in the country resume operation on Black Saturday and the whole family finds it a perfect time as well to relax and bond together after faith renewal and doing some Holy Week traditions (Visita Iglesia, Alay Lakad, prayer vigil etc), and of course, as they anticipate for the Easter Sunday. Moviegoers have great choices of different genre, either to see or skip this Black Saturday: 2 from Hollywood (action thriller 'Fast and Furious 7', animation comedy 'The Spongebob Movie: Sponge Out of Water') and 1 locally-made (rom-com 'You're My Boss'). The 7th installment of 'Fast and Furious' franchise and Paul Walker's last movie before death could easily land on top of the Philippine box-office, but the other 2 movies could make good business as well, even if they rank only behind 'Furious 7'.